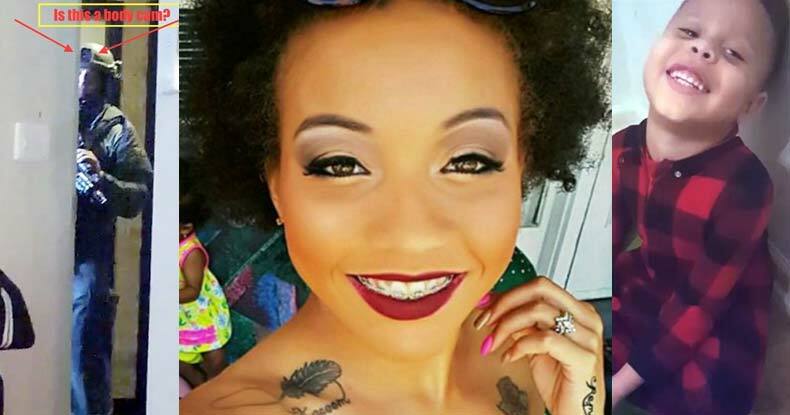 Baltimore, MD – On Monday, August 1, at 9:30 am, police arrived at the Carriage Hill Apartments to serve a warrant on Korryn Gaines, 23, for failing to appear on charges stemming from a traffic stop in March, which Gaines recorded. Shortly after arriving on scene police learned that there was a firearm in the house, so they brought in a SWAT team to deal with the situation. Officers initially knocked on the door, identified themselves as police officers, and after 10 minutes with no response obtained a key to the apartment from the landlord, according to police. Upon entry to the residence, Gaines was found sitting in on the floor with her son and pointing a shotgun at the entering officers and informed them that she would shoot them if they did not leave the premises. Officers then retreated to a hallway and called for backup. The video below appears to show officers dressed in tactical gear near the entrance to Gaines home, but it isn’t clear at what point during the standoff this video was recorded. A standoff then began which lasted throughout most of the day until the police decided to raid the home with guns blazing, killing Gaines and injuring her 5-year-old child. Police spokeswoman, Elise Armacost claimed that Gaines repeatedly pointed her gun at officers and made threatening remarks. “If you don’t leave, I’m going to kill you,” Gaines allegedly said at 3 p.m., according to Armacost. It was at this point that one officer opened fire, to which Gaines then returned fire, with police then opening fire again, striking her several times and killing her as she cradled her 5-year-old son. The boy was injured in the exchange but was reportedly in stable condition. The entire incident began with a “failure to appear” bench warrant, police said, stemming from a March 2016 traffic stop. According to a police press release, Gaines did not appear in court on an “array of traffic charges” stemming from the March 2016 traffic stop. Gaines was initially pulled over for having a cardboard placard in place of where a license plate should have been on a Toyota Camry she was driving. She was charged with several traffic violations, including operating an unregistered motor vehicle, driving without current tags, driving an uninsured vehicle, failure to display registration card on demand and driving a vehicle on a highway with a suspended registration. She was also charged with resisting/interfering with arrest, disorderly conduct, disturbing the peace and littering, all misdemeanors. Police said the officer reported that the cardboard on the back of the car said, “Any government official who compromises this pursuit to happiness and right to travel, will be held criminally responsible and fined, as this is a natural right and freedom.” The piece of cardboard on the front of Gaines’ car had “Free traveler” written on it, police said. Much of her argument revolved on the fact that anything she was alleged to be engaging in “illegally” would be a victimless crime and that she had a right to travel unimpeded without government interference. Both signs on her car give hints that she had a strong libertarian perspective of individualism and self-ownership, with some likening her verbiage to that of a Sovereign Citizen, or someone who believes that all local, state and federal laws, are illegitimate – especially regarding the right to travel without interference from the government. While not a popularized sentiment in the U.S. – the United Nations has recognized the right to travel as a fundamental human right. Watch the video of her being pulled over and arrested below. Prior to the arrest in the above video, Gaines had one misdemeanor criminal charge. She was cited in June 2015 for confining an unattended child, a misdemeanor violation, according to Heavy. She pleaded guilty in September 2015 and was fined $42.50, along with court costs, and put on unsupervised probation for one day. A person is charged with that violation when a child under the age of 8 is locked or confined in a home or motor vehicle while the parent is absent and out of sight without any supervision, according to Maryland law. Friends claimed on social media that she had been the target of repeated law enforcement harassment and Gaines claimed that she had a lawsuit pending against the department. The police did not comment on either allegation. Police acknowledged on Tuesday, that Facebook deactivated the Facebook and Instagram accounts of Korryn Gaines, at the request of law enforcement officials. Law enforcement officials had Facebook take down Gaines’ social media pages in the midst of the standoff, as she was posting videos during the standoff with police to communicate messages regarding what was transpiring. Although early reports on social media suggested her posts had been deleted, the photos, videos and other information on the accounts were not deleted, police said, but were preserved as evidence. She posted videos to her Instagram account and was live streaming on Facebook prior to being killed, with one of the videos showing a SWAT officer outside her door, and another show some of her final moments with her 5-year-old son, who was also shot and wounded during the incident. Facebook has thus far refused to comment on their shutdown of Gaines’ social media accounts – but the fact that an individual can lose the ability to transmit an accurate record of what is transpiring to the world so easily during a rapidly escalating situation is dangerous for transparency and accountability. It inevitably leads to situations whereby the public is forced to rely on those that have killed someone to give a proper accounting of the events leading up to their death – an almost certain exercise in futility. The real question is why should Facebook simply acquiesce to the demands of law enforcement so easily to shut down an individual’s most vital lifeline in a deadly situation such as this? The officers were not wearing body cameras, police initially said after the shooting, claiming that the program was new and officers had not yet been trained to operate them. “BCPD’s camera program is weeks old, and few officers have been assigned cameras at this early stage of the program,” police said in a press release. While still unclear, police have seemingly revised their stance on whether any police cam footage of the shooting exists, as spokeswoman Armacost stated that it is “not clear” if footage of the incident would become available from the police – this after law enforcement initially claimed that none of the officers were equipped with body cameras. A SWAT officer appears to be wearing a helmet cam in footage taken by Gaines during the incident but could be potentially some type of night vision device. The many social media clips of Gaines, taken as a whole, reveal a woman who felt so strongly about her rights as an individual that she was willing to die in a violent altercation with police, as she states in her March 2016 video. Rather than get out of the vehicle and allow it to be towed, due to her perceived illegitimacy of the legal system, she stood her ground. In fact, this isn’t some isolated case, as there are thousands of young adults, mostly black and poor, who also have lead poisoning in the city of Baltimore, according to a Washington Post investigative report. Decades ago, city health officials tested for blood lead levels that were higher than 20 micrograms of lead per deciliter of blood. Now, it is believed that anything higher than 5 micrograms can cripple a child’s cognitive development. Overall, more than 93,000 children with lead poisoning have been added to the state’s Department of the Environment lead registries over the past two decades. A vigil has been scheduled for Friday at 7 p.m. at Baltimore City College, Baltimore BLOC, a local community organization, said on Twitter. Meanwhile, the investigation into the shooting is continuing. The officers involved in the shooting have been placed on administrative leave, with their names expected to be released on Thursday morning. None of the officers involved have yet given statements regarding the killing of Gaines and the events leading up to her death.